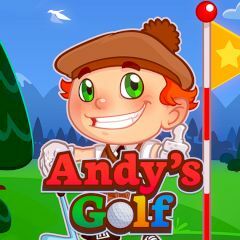 Andy is going to play some golf, but there is a challenge for him. Each level consists of multiple holes and you must complete it by using as less strokes as possible. Face all traps and obstacles of the map and try to show the best skill you can. Just Set the direction and release the button to see where it goes.